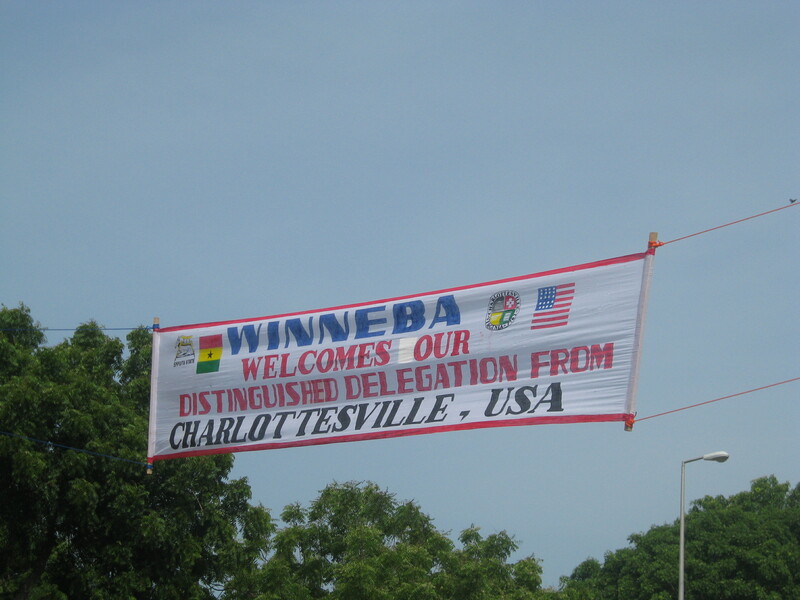 Public LIbrary Project – Winneba, Charlottesville’s Sister City in Ghana | grow. learn. connect. Thanks to the Friends of the Jefferson-Madison Regional Library, I recently had the fantastic opportunity to go to Ghana as part of the City of Charlottesville’s Sister Cities delegation. 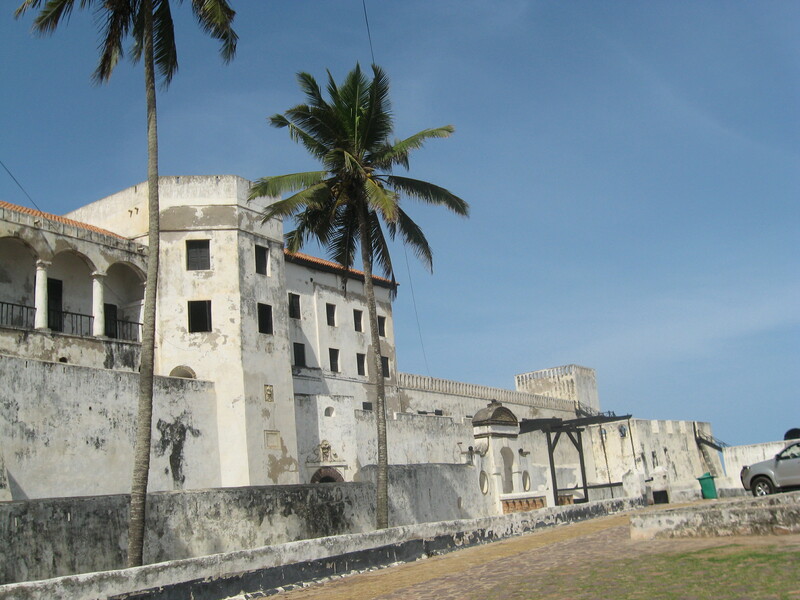 To prepare for the trip, knowing that I would be visiting the capital city Accra and our smaller, sister city Winneba, I consulted the Bradt travel guide on Ghana by Philip Briggs. I also read the Culture Smart! Ghana by Ian Utley. The purpose of the trip was primarily to meet with local officials to explore the potential for a public library project in Winneba (with a healthy dose of cultural exchanges, goodwill and ceremony taking place as well). While in Ghana, the delegation met with the Member of Parliament for the Effutu Constituency, the Winneba mayor, and Effutu Municipal Council, the Governor for the Cape Coast region, the University of Education Winneba faculty, and other local officials, educational officers and librarians. We visited the existing community library as well as the University of Education’s library in Winneba and the library at the University of Ghana in the capital city of Accra. I was also able to personally deliver over 100 children’s books and assorted JMRL promotional materials (bookbags, pencils, pens, booklights, etc.) to the Winneba community library and the Winneba Educational Ministry for use in local schools. The trip culminated in a meeting with community members, library representatives, building experts, and local officials to discuss the library project. Municipal land has already been set aside for the library. 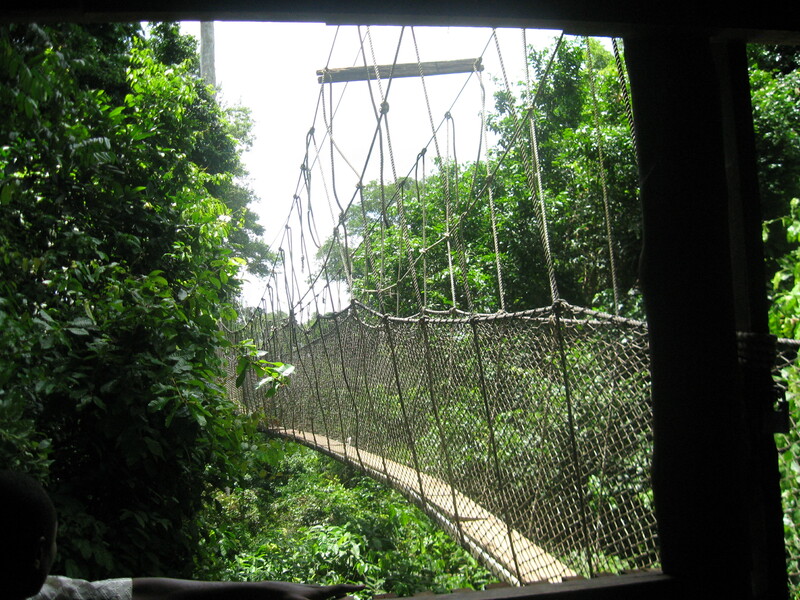 The delegation also visited the Kakum National Park Canopy Walkway, Elmina Castle and attended numerous cultural activities including a soccer game, welcome reception, the annual Deer “Aboakyer” festival, and a farewell luncheon including local music and dance. The Charlottesville delegation was welcomed with open arms and amazing hospitality. The trip was an incredible experience! I’m grateful to have had the opportunity to see firsthand the library facilities in Ghana and to meet with library colleagues there.